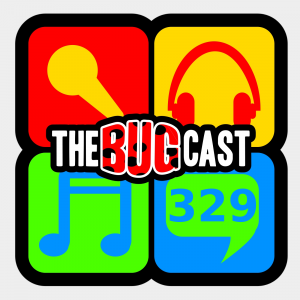 This week on The Bugcast: we’re back with our usual format, with a CreakFree™ change, but with our usual mix of 8 great tracks of Creative Commons and independent music from The Bourgeois, Boogie Belgique, Gardenhead, Lejo Harmeson, Great White Buffalo, Josh Woodward, Moon I Mean, and Other Noises. This week on The Bugcast: kids home alone, tragic events in sport, Black Friday, plus we play 8 great tracks of Creative Commons and independent music from Fallen To Flux, Other Noises, Townhouse Woods, The Great Luke Ski, Non Camera, fireworm, Blind Violet, and Syre & Fresko. the bugcast 329 – Oh no, they’re back! This week on The Bugcast, we dive straight into the political turmoil of the week, plus we play 8 great tracks of Creative Commons music from Other Noises, Marc Reeves, Michael McEachern, Carl Andre and the Danolectros, Sweet Play, Abscondo, Gone By Friday, and Cooper. This week on The Bugcast: We cover travel from a couple of different perspectives, and we play 8 cracking tracks of Creative Commons music from Other Noises, Not4Radio, Modern Pitch, Sunspot, Michael McEachern, Fanton, Kicklighter and Final Round.